On the 25th (Fri), examine the collection at Museo Histotico de Culebra and then enjoy the sand and surf at Flamenco Beach. Get ready for a full day of sightseeing on the 26th (Sat): kick back and relax at Tamarindo Beach, then kick back and relax at Zoni Beach, and then stroll through Playa Punta Soldado Beach. To see ratings, maps, more things to do, and more tourist information, go to the Culebra trip builder. Fajardo to Culebra is an approximately half hour combination of taxi and flight. You can also ride a ferry. In August, daily temperatures in Culebra can reach 88°F, while at night they dip to 78°F. Wrap up your sightseeing on the 27th (Sun) early enough to travel to Fajardo. Fajardo is a small city and municipality in Puerto Rico (U.S.) located in the east region of the island, bordering the Atlantic Ocean, north of Ceiba and east of Luquillo. 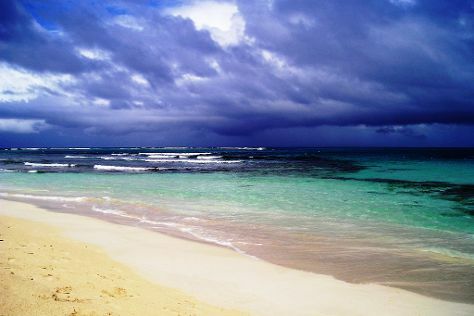 Your itinerary includes some good beach time at Balneario Luquillo and Monserrate Beach. You'll visit kid-friendly attractions like Scuba & Snorkeling and Seven Seas Beach. On the 28th (Mon), spend an adventurous day with a kayaking and canoeing tour. It doesn't end there: explore and take pictures at Carabali Rainforest Park. To find maps, ratings, photos, and other tourist information, refer to the Fajardo itinerary maker. Fajardo is very close to Culebra. In August in Fajardo, expect temperatures between 88°F during the day and 79°F at night. Wrap up your sightseeing on the 29th (Tue) early enough to travel back home.